Nearly a decade after that original discussion at OSI - which itself was in the context of fairly established thinking - the UK Government seems to think this is still an open, undecided question. Why is that? It appears to be because industry bodies with a deep interest in protecting their existing, proprietary interests in the UK Government have lobbied that Government to re-open the issue. Moreover, during a change of leadership the responsible individuals in the Government decided to give those incumbents a second chance. Why do they want that second chance? It's not as Stephen Walli suggests because there is a historic case for (F)RAND terms in standards. While that argument can be made in some markets, it can't in software. No; they want it because they understand the threat from open source solutions to their incumbent control of Government ICT and want to keep them out. They know that the standards mandate - once a way of controlling suppliers - has metastasised into a way for supplier to control customers if restrictions on implementation are allowed. Certain variants of (F)RAND terms - the ones that include a need for an implementor to have a relationship with the patent holder before use of the standard - are toxic to open source communities. 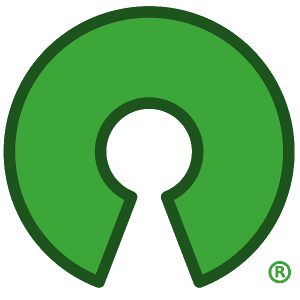 An (F)RAND policy allows patent holders to decide whether they want to discourage the use of open source. Leaving that capability in the hands of some (usually well-resourced) suppliers seems unwise. That's why the OSI today supported a press release from a broad group of entities which protect digital rights in the UK. It's not just in the media sector that the relationships with government seem just too cosy. The definition of open software standards is essentially settled; stop letting vested interests tell you otherwise.